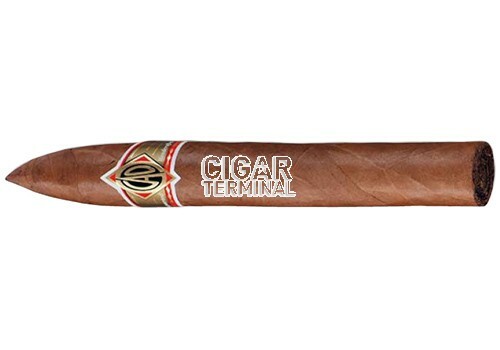 CAO Gold Torpedo cigars are one of the few mild Nicaraguan cigars on the market. CAO Gold is loaded with creamy textures of vanilla and nutmeg, a top rated cigar with a subtle nuance of sweet spice. 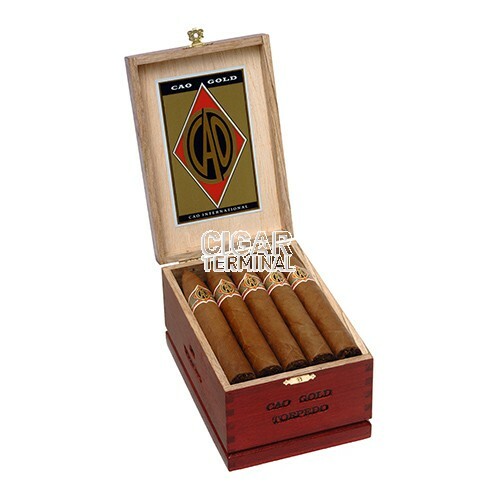 CAO Gold Torpedo cigars are one of the few mild Nicaraguan cigars on the market. CAO Gold is loaded with creamy textures of vanilla and nutmeg, a top rated cigar with a subtle nuance of sweet spice. Highly regarded for consistancy and flawless construction.